Andaman & Nicobar RTO is a union territory in India. Andaman & Nicobar RTO performs all the functions for improving transport and traffic in the city. 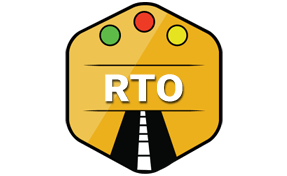 Transport commissioner controls all the operations of RTO in Andaman & Nicobar. Motor vehicle act of 1988 has laid down all the instructions and guidelines to be followed by Andaman & Nicobar RTO. Online information management for Andaman & Nicobar RTO. Database management of all the vehicles in Andaman & Nicobar. Appropriate action for automation of Andaman & Nicobar RTO. Issuing learning license to the applicants. Granting driving license to drivers in Andaman & Nicobar. Furnishing international licenses and permits as and when required. Assisting in the license renewal process. Issuing duplicate license in the case of loss or theft of the license. Authorized to grant registration copy to all new vehicles purchased in Andaman & Nicobar. Responsible for making any amendments in the registration copy of vehicles whenever required. Sanctioning no objection certificate to all the vehicles from other states after the grace period. Regional Transport Officer (RTO), Tagore Road, Port Blair, Andaman & Nicobar - 744101.